Short on time? 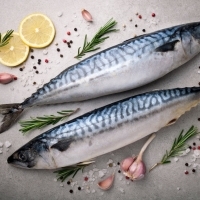 Let indian-mackerel sellers contact you. The Indian mackerel is a species of mackerel in the scombrid family of order Perciformes. 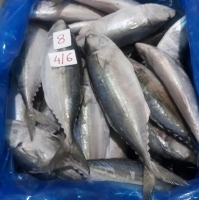 It is commonly found in the Indian and West Pacific oceans, and their surrounding seas, It is an important food fish and is commonly used in South and South-East Asian cuisine. The body of the Indian mackerel is moderately deep, and the head is longer than the body depth. The maxilla are partly concealed, covered by the lacrimal bone, but extend till around the hind margin of the eye. 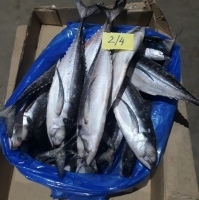 Pacific Mackerel: 1 x 20' container, specified to buyers requirements. 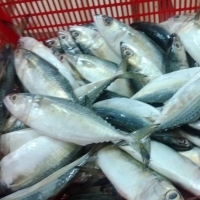 Frozen Indian Mackerel ,size : 8-10,10-12 pcs / kg. IQF 10kg/bulk. 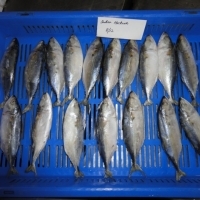 We can offer you Indian mackerel size 10/15 pieces @ USD1.30 This is a very special rate. 2x40ft. 10/13 pcs per kg Payment: 100% LC or 30% advance and 70% on sending copies of shipping docs. Product is packed in 10 kg bulk, neutral as well as printed carton available for shipment. 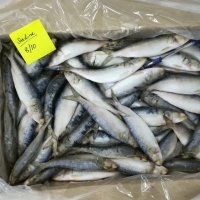 Exporters of Indian mackerel, croaker, squid, black pamphlet, cuttle, Japanese threadfin bream, sardine, grey mullet, Spanish mackerel, sole and etc. Upon request. 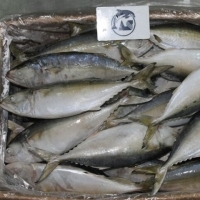 IQF frozen indian mackerel W/R netweight 100% Size: 6-8 pcs/kg: 1.35 USD/ KG FOB Ho Chi Minh Port 8-10pcs/kg: 1.30 USD/ KG FOB Ho Chi Minh Port Packing: 10kg x1block/Master Carton Quantity: 6-12FCLx40 per month Payment : L/C At sight or T/T advance 30%.